Summary: Today Tom Hayden briefs us on the situation in Syria, about what’s happening — and what might happen soon. Civil wars are the worst type of warfare. However, we are not implying that there is such a thing as “good warfare.” There are only good causes. In Syria we have a situation much like the Spanish Civil War (1936-39). As the fighting extends in time between the combat wing of the United Revolutionary Council and the despotic Assad regime, foreign players have begun entering the struggle. 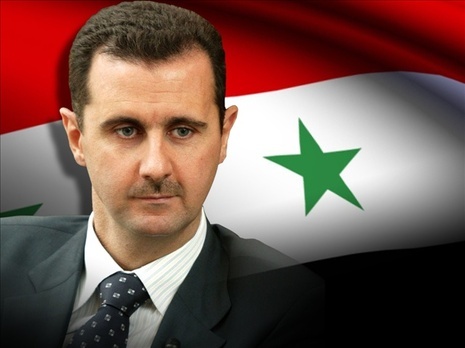 Backing Assad, you have the Iranians, Russia and HizbAllah. Backing the revolutionaries we have the Saudis, the Emirates, and to a limited degree, Turkey and Jordan. The USA has sent aid, but best we know at this point it has been, we are told, only humanitarian aid. In the meantime the body count grows and is now over 30,000. Intervening on our part, at this time, would be difficult at best. But this could change in the near future should the Iranian military add more forces on the ground, including additional battalions of HizbAllah. This Iranian proxy, it should be noted, has a full time militia of 6,000 men, supported by a part time armed force of 15,000. Further, Russia is not going to stand by and watch itself lose its only major naval base in the Mediterranean at Tartus, should the rebels look like they will win. Months ago the international media reported the Russians were deploying “elite antiterrorism troops” into Tartus. More likely these troops were either the elite and aggressive “Vympal” or “Alpha” groups! These groups honed their skills fighting Chechen rebels, not standing guard duty. Should the rebels depose the Assad dynasty, the major HizbAllah/Iranian base in the Bekaa Valley, Lebanon, becomes isolated. This is both a significant training ground for HizbAllah and HAMAS terrorists and maintains a site for over 3,000 Iranian Revolutionary Guards. Equally important is that the Bekaa is a major heroin producing region. This is a virtual no-go area for the Lebanese government. This heavily armed site now has a missile umbrella and provides hundreds of millions of dollars of drug money for the Assad regime. Further it is a convenient staging area for attacks against Israel, Jordan, Turkey and Saudi Arabia. With the fall of Assad the Bekaa would be isolated. Will the Iranians tolerate this? Will they air lift the current Revolutionary Guards out, or will they air lift reinforcements in? Will HizbAllah stand by and watch its main source of weapons and protection collapse, or will they strike out at all perceived enemies? Regardless of what happens, any of the above can bring destabilization of the region on a major scale, to say nothing of the possibility of the US/EU and the Russians having a face off! The clock is ticking. He was Director of the Nevada Department of Homeland Security, sat on the Homeland Security Commission, coordinated the statewide Citizen Corps Program, and managed the Carson City Fusion Center development in conjunction with the Nevada Department of Public Security (DPS). Previous Post How Strong Is the U.S. Navy? “the fighting extends in time between the combat wing of the United Revolutionary Council” => makes it look like the opposition to Assad has a united military force, which, according to the information available, is far from the case. “Backing the revolutionaries” => and especially an increasing number of more or less loose jihadist cannons with their own agenda. “The USA has sent aid” => so have France and the UK, in the same manner. “should the Iranian military add more forces” => do we know for a fact that the Iranians, let alone Hezbollah, dispatched full-fledged military forces to Syria? “More likely these troops were either the elite and aggressive “Vympal” or “Alpha” groups!” => more likely based on what information? “This is both a significant training ground for HizbAllah and HAMAS terrorists” => substantiation that Hezbollah trains HAMAS in the Bekaa valley? “Further it is a convenient staging area for attacks against Israel, Jordan, Turkey and Saudi Arabia.” => Saudi Arabia? I think there is some lack of geographical awareness here — or Hezbollah has a cruise or airborne strike force I never heard about. “to say nothing of the possibility of the US/EU and the Russians having a face off!” => They did not have one because of Georgia, why should they have one because of Syria? Plenty of speculations about what Iranians, Hezbollah, Assad might do, nothing about what their opponents might do. Nothing about the major role unavoidably played by Turkey and the Kurds. No analysis of the possible courses of action for the USA/EU. No reflection about what is the true objective of SA and UAE. Nothing about the impact on Iraq. This blurb looks more like a compilation of talking points for a political TV debate. HAMAS in the Bekaa valley? seriously ? HAMAS is controlling its own land (Gaza) where they train freely and openly, they don’t need to travel all the way to Bekaa valley to train!!! (how will they go there? teleported perhaps..). I guess the author confuses PFLP-GC with HAMAS, which (PFLP-GC) has camps in Bekaa valley and has Militia groups inside Syria (They are part of the regime somehow), BUT they are not trained by Hezbollah. see here for Wikipedia on PFLP-GC. [Bekaa valley] “maintains a site for over 3,000 Iranian Revolutionary Guards” ?! yeah, and Israel will sit and watch 3000 IRGs camping few Kilometers away from its border, while it cannot tolerate a small [useless-rockets-firing groups] in a small enclave [Gaza]. Not a problem! Here we’re on the edge of the known, sifting grains of information to build knowledge. I did google “Lebanon” and “Heroin” and found an article dealing with opium production in Lebanon but the latest reference was from 1993 and at that time the Syrians were helping the Lebanese clean it up. However Narco Islamo terrorism is certainly more frightening that just plan Islamo terrorism because then you can believably claim that they are infiltrating along with drug cartel people from Mexico. I hadn’t seen HizbAllah spelled that way before and it certainly looks like a very insider spelling and Allah is right there to add some fright appeal. My apologies. I do find that the spelling of Hezbollah used by the National Counterterrorism Center is “Hizballah”. Wikipedia article goes into funding of Hezbollah and unsubstantiated claims of money laundering from drugs. See Wikipedia. Supporting Tom’s comment, see this from the preface to Seven Pillars of Wisdom by TE Lawrence – a conversation with his publisher. P: The proof is is full of inconsistencies in the spelling of names. TEL: Arabic names won’t go into English, for their consonants are not the same as ours, and their vowels vary from district to district. There are some “scientific systems” of transliteration, helpful to people who know enough Arabic not to need helping, but a wash-out for the world. I spell my names anyhow, to show what rot the systems are. P: Jeddah & Jidda used throughout. Intentionally? P: Bir Waheida was Bir Waheidi. TEL: Why not? All one place. P: The Bisaita is also spelt Biseita. P: Jedha, the she-camel, was Jedhah on Slip 40. TEL: She was a splendid beast. Another though – Allah is never not capitalized. Have U seen Usama, Osama, etc? An FM article on the Middle East without a single gratuitous, malicious attack on Israel? How did it ever pass the the FM screening process? Has FM grown weary of looking for ways to distort the facts to smear Israel or has he just gone loopy from staring at his OODA loop? Can you post cites to a couple such “gratuitous and malicious attacks” on Israel, please? Me, too. I’d like to see some evidence to support David S’s accusation. Otherwise we’ll have to assume this is another case of the ever-popular “make stuff up” attack. This comment is nothing but smear, equating Israel’s treatment of the Palestinians to the Nazi’s treatment of Jews. While Israel’s treatment of the Palestinians has in some instances been grossly unjust, to equate to genocide is a revolting distortion of the truth and a total smear of Israel. Also, the jews posed no threat to Nazis while the Palestinians committed numerous acts of terrorism against Israeli civilians and are to this day committted to the eventual destruction of Israel. As evidence David S. gives a comment by Marcus made to “We can only watch as the nation of Israel slowly commits suicide“, 30 November 2011. I don’t see how the evidence matches the charge. (1) He refers to “an FM article”, but cites a comment — not an article. (2) He “blames” me for the comment. I don’t censor comments, except for extreme inappropriateness in length, language, or evil (I’ve coded the filter to automatically dump anti-semitic comments). That’s a double FAIL by David S. He’ll have to try again. This comment is nothing but smear, equating Israel’s treatment of the Palestinians to the Nazi’s treatment of Jews. Your initial charge was that there were “gratuitous” and “malicious” attacks being made against Israel. It’s hard to say that a follow-up comment is “gratuitous” (Uncalled for; lacking good reason; unwarranted.) when it’s, in fact highly relevant. Unless you meant the alternative definition (Free of charge) which is redundant when the entire FM website is free. As far as “malicious” (Intending to do harm) – well, you’ve got me there! I was expecting that everyone who read my comment would immediately appeal to the UN and the UN would sanction Israel for genocide, at which point Israel would admit the error of its ways and there would be unicorns and rainbows all across the Middle East. Sarcasm aside: when did arguing for peace become “malicious” in your world? To the accusation of punditry (i.e. : “smear”) you failed to parse my comment. I wrote: “you have to objectify them as subhuman … Which is exactly what the Nazis did to the jews” I am not referring there to genocide (excuse me, “ethnic cleansing”) but to the process by which human beings are reduced to stateless animals – a process that both the Nazis practiced, and the Israelis are currently practicing. I would recommend Hannah Arendt’s Origins of Totalitarianism as a good book describing the process and how the Nazis applied it – specifically here I am referring to the way in which Jews were stripped of citizenship so that it could be then claimed that they fell outside the protection of the state. That maps exactly to what has been happening with the repeated claims that the Palestinians aren’t a people (What, then, are they? Cattle? Oh, wait!) and the shameful US/Israeli intervention to prevent the Palestinians from getting any recognition from the UN in order to preserve that lie. This objectification as subhuman is what allows the ‘civilized’ world to stand by with its arms crossed while – depending on how you count it – 300,000 to 500,000 Palestinians have been “internally displaced” and a great number of them are in refugee camps. Do you fail to see any similarities there? I was not drawing an equivalence between the Nazis wholesale slaughter of Jews. So far, the process has not gone beyond internal displacement (a crime against humanity, btw) – if it goes further I hope you won’t be surprised if I and other rational commentators point that out, as well. BTW – a “smear” is an attempt to harm someone’s reputation, usually by lying about them. If you want to accuse me of “smearing” Israel, all you need to do is point out where I lied by commission or omission. That ought to be easy, right? But by simply accusing me of “smearing” without introducing any argument or statements of fact, I have to wonder if you know what “smearing” is. Because, if you studied it, you’d probably be better at it. … American officials and retired C.I.A. officials said the administration was also weighing additional assistance to rebels, like providing satellite imagery and other detailed intelligence on Syrian troop locations and movements. I hope they’re thinking about how they’re going to protect the blackhawks (aka: “flying ducks”) against those things if our friends turn out not to be so friendly. Plus ca change, plus c’est la meme chose, non? I enjoyed reading this article: the author speaks from a point of view distinct from what we can find in the main stream news sources, and provides some hints of insider information that are also valuable. My main beef, not with this article in particular, but with all the coverage of the Syria situation, is this: to say that Saudi and the Gulf States are sending lethal aid to the rebels but the US is not is a plain contradiction. The Gulf States and Saudi Arabia are politically and militarily completely dependent on the United States. Could they possibly sustain any significant foreign policy effort for long if the United States was not in complete agreement? The DoD establishment opinion expressed so clearly by Tom Hayden here, that Syria is a key regional ally of the evil Iranians, providing significant material support to groups that the US is sworn to destroy, is sufficient confirmation of the fact that the US has been elbow-deep in the Syrian situation at least as long as Saudi and the Gulf States have had any role. Seriously– all of their military and intelligence officers train at our schools, we provide all of their military hardware, and the current regimes have no hope of survival without US protection from external and internal enemies. Is it possible that they could ever carry out any plan that was not directly aligned with the perceived interests of the United States? Observing the apparent relationship between these countries and the United States, this conclusion seems logically inescapable to me. But, there could be some serious flaw in my understanding of geopolitics, or in my assessment of the facts. Thx much for your comments. Having served with the Marine Corps in Saudi for a year dur Gulf War and then President of a joint venture in Riyadh, Saudi Arabia, for two years and I am some what familiar with the Saudis. All the Gulf states like to show that they are independent of the US. They will work with us — sometimes — but seldom publically. Had a chance to visit all Gulf Cooperation Council states dur my stay in Riyadh. As far as Syria is concerned the GCC surely has received Intel from the US and maybe used some foreign aid from the US – with US approval. The US election has put a real damper on US support. No matter who wins I think we will do more to help the opposition to Assad. Have received a lot of comments to this blog that shows how uninformed or ill-informed many of our readers are especially as to what Hamas and HizbAllha is doing in Bekaa and Syria. Lots of friends, current or retired, in Intell — civilian and military — that I correspond with daily help provide info on my piece. Plus I belong to a number of open source Intell websites. None of what I wrote is made up. All has references that I will not divulge to pseudo experts who have nothing better to do that criticize others. What are the odds that Hassan Nasrallah is a CIA plant, or that this very public speech, shown here in its full context, is some sort of info op? I have provided the following transcript that takes us up to 7:15… if you are interested in the other 4 minutes, this speech got a fair amount of Western media attention, so MEMRI or some other site might have a complete translation. The truth that must be told, without fear the complaint of any complainer, no matter who that complainer is, The truth that must be told, and no one can be ignorant of it or forget it, Is, the truth of the Syrian stance, and the stance of this Syrian leadership, in Arab-Israeli matters, and in the Palestinian cause specifically. All of these pressures that have come recently, trying to restart negotiations on the Syrian issue [with Israel], are in order to besiege the Palestinian issue. And the Syrians were solid, and did not surrender. Look, my brothers and sisters, oh Arabs and Palestinians, Syria is solid, and the Palestinians are shattered in negotiations. What if Syria had fallen? What if Syria had solved its problem with Israel, and left Palestine and the Palestinians to their fate? Where would the Palestinian cause be today? For this reason, it is right that it be said, and I say, that this Syrian leaderships deserves much credit in preserving and maintaining the Palestinian cause, and preventing the elimination of the Palestinian cause, which has always been the goal of all the American and western invasions and the conspiracies in our region. This first. And it is not possible to forget it. And the survival of this Syrian stance is a fundamental condition for the survival of the Palestinian cause and preventing its elimination. The second fact that we must mention, is how Syria, and this leadership specifically, has stood with the resistance, especially in Lebanon and Palestine. And not standing only– its support for this resistance in Lebanon and Palestine. If not– and this one of the most important and influential facts… even to this day that we are speaking, even the Iranian support, a large portion of it comes through Syria. If not for the willingness of Syria and its stance, even Iranian support would not be able to move between Iran and Lebanon, and between Iran and Palestine. When you all are sitting now on this small piece of land in the south of Lebanon near Mount Amil, and the people are seeing you on the television, this broadcast would not have been possible if the resistance had not been victorious in the year 2000. And the resistance would not have been victorious in the year 2000 without collaborators, and among the most important of these is Syria, and the stand of the Syrian leadership. Today you all are sitting on the land of Maroon Ar-Ras, which raised up the heads of Lebanon and the Arabs– these Arabs fought and resisted also with Syrian support. And I do not want to go into details now so as not to embarrass the Syrian leadership. Not moral support, not just political support. The resistance in Palestine, its solidity in Gaza in 2008, the strength of the Gaza Strip today– also, I do not want to go into details, because I do not want to embarrass anyone. But at the very least the leaderships of the resistance movements in Gaza know the actions and the methods and the credit of this Syrian leadership in securing Gaza and keeping Gaza strong. This in spite of the fact that these acts and this support has always brought upon the Syrian leadership more American and Western pressure and threats. These two facts, it is not possible for anyone to forget. This is on one side. On the other side, all of us say and support the need for large and important reforms in Syria. In order to develop Syria, so it can be better, so it can be stronger. For the good of its people, and the good of its nation, and the good of the whole region, as a result of its key location in the region. So, we want in Syria, this patriotic stance, and we want in Syria– by we, I mean not just us, but all of us, Syrians, Lebanese, the Arab and Islamic peoples, all of the lovers of Palestine and Al-Quds [Jerusalem]– we want in Syria this patriotic stance, and we want in Syria a strong Syria, through reforms and development. What does this mean? 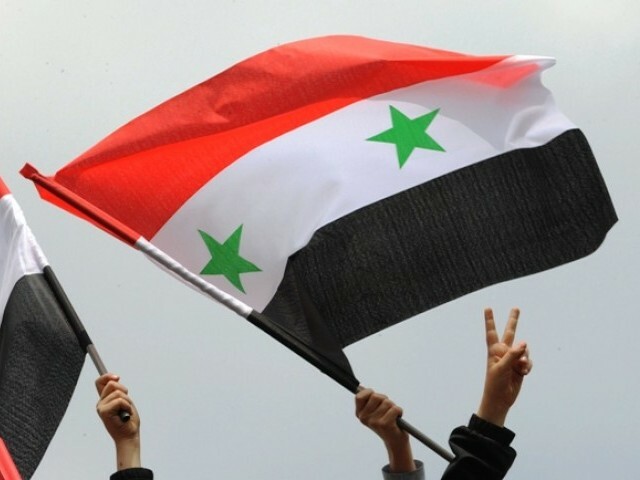 This means that it is obligatory for anyone who calls for friendship and calls Syria a friendly country, a sibling country, and whoever calls for the protection of Syria and its people, and its blood, and its future, and its national unity– to combine their efforts to calm the situation in Syria. To calm the situation in Syria, and push things towards dialogue and peaceful resolution. It also means that any other direction, and any other methods, are a danger for Syria and for Palestine, and for the whole region. I believe that the demands for sourcing in the comment section has much to do with FM’s own heavy use of sources and their policy of disregarding and mocking comments not supported by sources. Which leads me to wonder why, if you are unwilling to defend your claims, you even bother to post here in this forum? I am also wondering why FM did not do their part as editor and asked you to provide sources for your piece before publishing. As it stands, your writing is an opinion piece. It is given credence in my mind by being supported by FM, but that does not invalidate the ones asking for clarification. Your response to these people is unbecoming. Sorry, but think of it as “opinion.” Will not reveal my sources. Go to my website at PoliQuicks and see more of my opinions. Thx for your comments. Can you share with us names of the websites or publications you find to be useful sources of information on this topic? All websites I use must qualify the memebrs or pay to join. Mostly former Intelligence officers. AFIO, “ai,” etc. Sounds great! Some of us might find it worthwhile to pay for good intel sources (I have a modest budget, and subscribed to Stratfor for a decade or so). Recommendations? Rune: Whether or not there are training camps and IRG brigades in one or another particular valley in Southern Lebanon, to me, seems like a relatively small detail. In the video cited and translated above, you can see Hassan Nasrallah himself expounding on the great importance and great extent of Syrian support for Hezbollah and Hamas, as well as the great extent and critical nature of Syrian cooperation with Iran. Do you think he’s making it up? If so, please explain why. If the major players on the Iranian-aligned side have such a strong belief in the importance of prevailing in Syria, why wouldn’t they employ any means necessary to promote that outcome? The same goes for the US. The US has just enough plausible deniability to prevent a mainstream media scandal, but I don’t think any serious observer can deny the extent of US involvement. Matt D: Saying that there are 3000 IRGs and HAMAS camps in Lebanon [without any kind of sources] is not a small details, it is either a forgery [I do not think this is the case], an ignorance [looking at Mr Tom Hyden website it is clearly not the case] or the author just want to fill up space in his article, no matter what the info is…. – Why do the article and some comments still link HAMAS with the Syrian regime ? While officially HAMAS has not closed its office in Syria, earlier this year they quit “on the ground”: “Hamas quietly quits Syria as violence continues“, Reuters, 27 Jan 2012. And more important, earlier this month: “Syria slams Hamas leader as rifts with former ally widen“, Reuters, 2 Oct 2012. Not being up to date on the topic is not a “small detail”. There is no need to get touchy or defensive when people bring up legitimate concerns about your post. Calling people out for being “…uninformed or ill-informed…” and resorting to ad hominem attacks such as calling people “…pseudo experts…” (sic) does not bolster your argument(s). FM is a site chock-full of both excellent commentary and excellent commenters, most of whom seem to be deeply thoughtful and knowledgeable individuals who actually care about the world they live in. If I were you, I would not be so quick to cavalierly dismiss the FM audience or to automatically assume that those who disagree with you are uninformed dolts. Of course, when the U.S. sent some troops to Syria to wage a war, it didn’t send men in uniform; they used secret agents to make trouble inside Syria and justify an international military action ..